Thank you for your financial support to the Episcopal Church of the Ascension. Because of your generosity, you have planted the seeds that enable Ascension to offer vibrant ministries for all ages, both within the church, and outside of our doors to the surrounding community and the world. Because you have answered the call to contribute to Ascension, you have strengthened the foundation of our spiritual home so it may continue to grow and thrive, and be a home for God, from which flows love, healing, peace, and justice for all, particularly for those who are in any need or trouble. 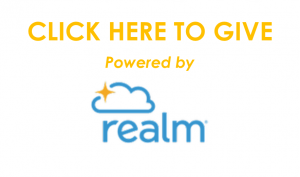 We offer safe and secure online giving via your Realm login. Click on the logo on the right to make a one-time or recurring gift using your debit card, check card, credit card, or bank account. You may use your smartphone to give via text mesage. Behind the scenes, Realm will credit your account with the amount that you text. For example, text SligoParish Pledge $50 to 73256 to donate $50 towards your pledge, or text SligoParish CapitalCampaign $100 to 73256 to donate $100 to the capital campaign.Standard text message rates do apply. You may use your bank’s online bill-pay feature to set up a one-time or recurring payment to Ascension. Each bank has a slightly different interface, but almost all banks offer online bill-pay. Be sure to indicate the purpose of your payment (pledge, special offering, etc.) on the electronic Memo line. You may put cash in the collection plate or hand-deliver to the church office. Be sure to put it in your pledge envelope or write your name and donation purpose on the outside of a plain envelope. Do not send cash in the mail.